"This law gives nobody rights. Everybody in this Commonwealth has always had rights. They have always had rights because they were a human being, and this law only reminds those who oppose this law of that." 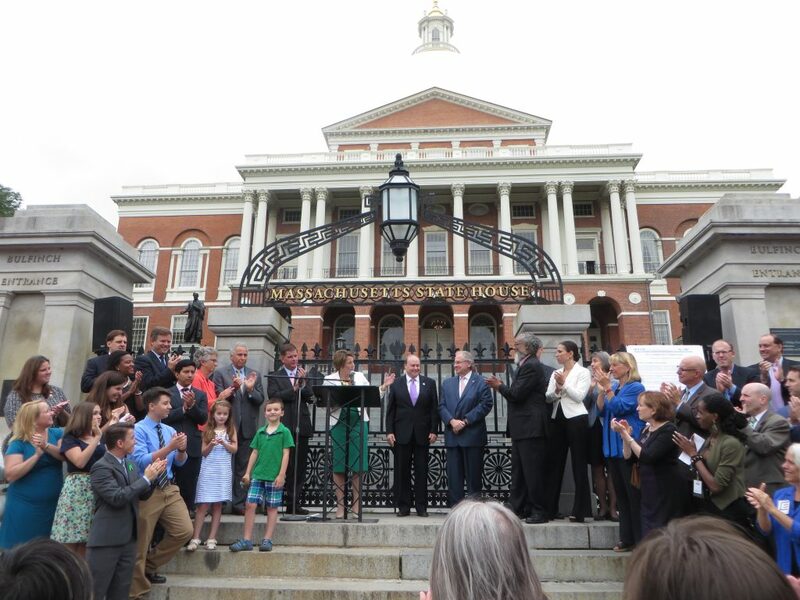 On July 11, Attorney General Maura Healey invited the legislators who passed S2407 through to law, members of the Transgender community – the true champions of this new law -and their allies to come together for a public citizen signing of the new Transgender Public Accommodations Law. Those of us who gathered on the Massachusetts State House steps were all smiles as we awaited AG Healey to welcome us all. News cameras formed a semicircle directly in front of the steps in a futile attempt to bar viewers from standing in front of them to get a view of the speakers. 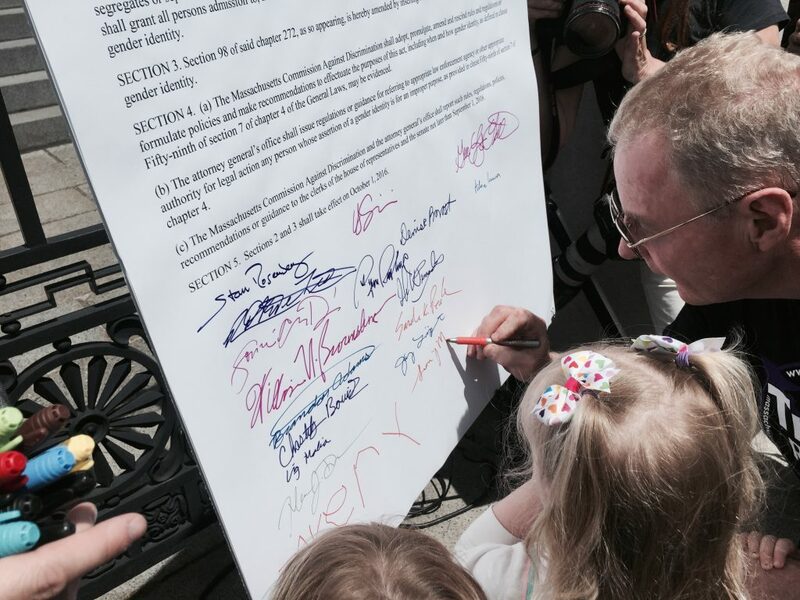 It was truly heartwarming to see so many people come out to show their support, and also heartbreaking to see just what this new law means to those who have lived, for some, their whole lives in fear of discrimination and harassment. Various speakers addressed the crowd after AG Healey’s opening remarks, including Senate President Rosenberg, House Speaker DeLeo, Boston Mayor Marty Walsh, as well as various representatives who have worked for most of their career on the passing of this bill. 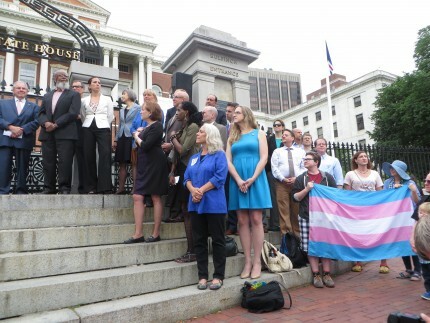 Chastity Bowick, a proud Trans woman, spoke on behalf of her community saying, “I am proud to call Massachusetts my home where we continue to show progress in civil rights.” The most repeated theme during the ceremony was undoubtedly how this action will go down in history and will be a shining beacon of hope for others in Massachusetts as well as the entire nation.